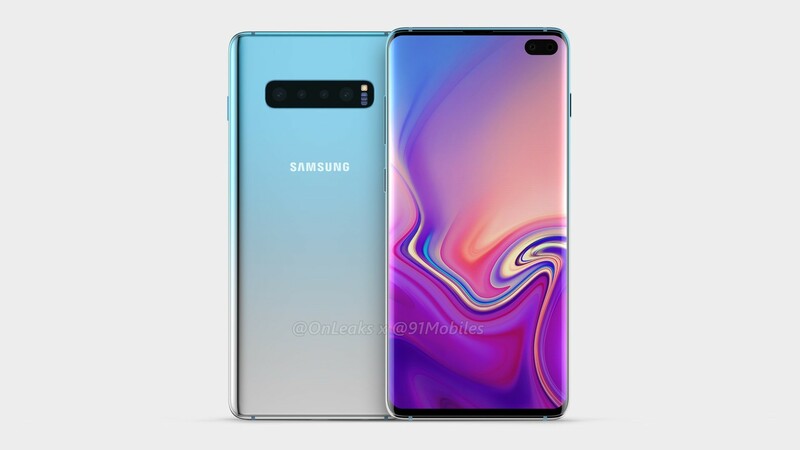 Even more renders of the Samsung Galaxy S10 and S10+ have surfaced. The devices can be seen with circular cutouts at their top right corners—in the case of the S10+ two circles overlapping to form a pill of sorts. Well, these Samsung Galaxy S10 leaks are getting annoying. The upcoming Samsung flagship has leaked constantly over the past few months and while leaks are generally welcome, there hasn't been much concrete about the device till now. With the upcoming release of the Galaxy A8s, we have a good idea of what the S10 phones will look like but new renders of the S10 and S10+ tell us more than we ever knew before. Going by the renders, the S10 and S10+ will feature holes in their displays—Infinity-O, Samsung calls it. These holes are an alternative to the egregious notch, and we think they’re actually less obstructive. Inside the holes are the selfie cameras, as expected. The S10 features just one selfie shooter, so it's a simple circular hole. 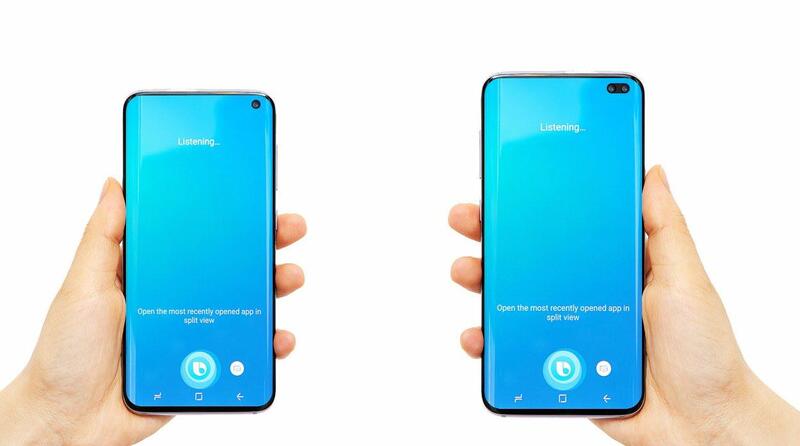 The S10+, on the other hand, has two, and it’s an entirely different matter, as the conjoining of two holes gives it the look of a pill. The fact that these holes are off to the right of the display makes the S10+'s look rather polarising. Holes aside, the front end of the phone is as bezel-less as that term can stretch. According to reports, the S10 Lite will have a flat display, and it’ll be interesting to see how that one turns out. Another leak showcased the back end of the S10+. The leaker claimed the renders were from a month-old working prototype, so the final product will likely be much different. Going by the images, the S10+ sports four rear cameras in a horizontally aligned setup. We're not sure what model that's supposed to be, as most sources claim the S10+ will feature just three rear cameras.